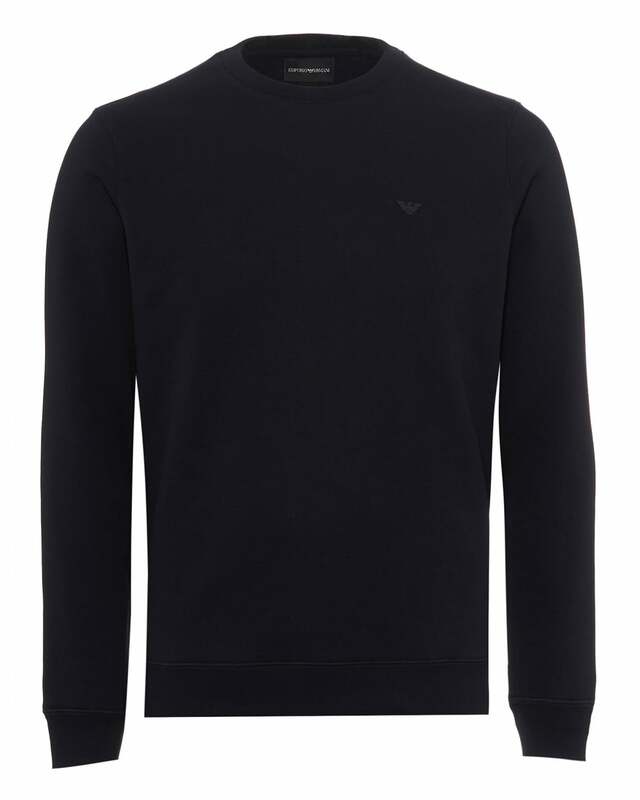 Emporio Armani do well to add a dose of luxury to your casual wear with this simple branded sweatshirt in a versatile navy blue. The subtle yet distinguishable eagle really does support the belief that less is more. Wear with Armani jeans or Boss trackpants for a casual look.